Christie’s has pulled off a feat of the highest order: Oscar-winning actor, art collector, environmental activist, and Citi Bike style icon Leonardo DiCaprio has come face-to-face with artist, inventor, and oversized beret icon Leonardo da Vinci. The auction house, which has already made headlines as it prepares to auction off Leonardo da Vinci’s last known masterpiece, Salvator Mundi, later this week, has released a quite beautiful video directed by Nadav Kander of visitors gazing at the painting, which is on view at its New York headquarters. 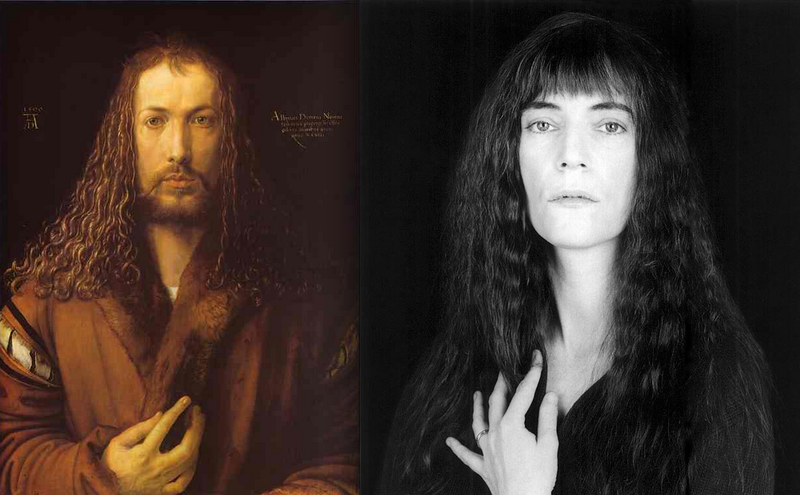 Those visitors include a number of teary-eyed civilians, as well as the poet Patti Smith at about 2:16—who, for Robert Mapplethorpe in 1986, memorably channeled Albrecht Dürer channeling a Salvator Mundi-esque Christ in 1500—and DiCaprio at about 3:07. DiCaprio is visibly moved in the film, and his is a particularly powerful cameo: he will play Leonardo—da Vinci, that is—in a forthcoming film based on master biographer Walter Isaacson’s book on the artist. Perhaps we’re being too romantic, but his signature newsboy cap also bears a bit of a resemblance to the original Renaissance Man’s floppy beret.